Indian | Thanks a Glatt! Thanks a Glatt! 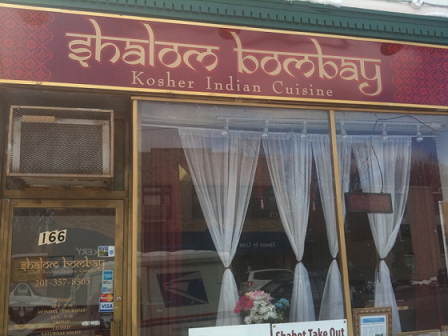 has learned that Shalom Bombay in Teaneck has been sold and will be re-opening under another name and probably without hechsher. We are sad to see them go but wish them more luck on their NYC locations! Official press release below. We at Shalom Bombay of Teaneck would like to take the opportunity to thank the many loyal patrons in Bergen County and its surrounding areas. It has been our pleasure to serve you for the last 2 1/2 years. The enthusiasm about our first location has also led to the great success of our second location, opened almost 1 year ago in Manhattan. At this time, we have chosen to accept a buyout offer. The former proprietor of our location expressed an interest in reacquiring it and we felt that it was the most prudent path for us to take. He will be operating the Teaneck restaurant under a different name, not associated with Shalom Bombay or the RCBC. We will now have the opportunity to focus on the Manhattan location and help it on its continued path of growth and popularity. We will also be focusing our efforts on expanding our catering business (weddings, Kiddushes, dinner events, Bar-Mitzvahs) with our unique but versatile cuisine options. The people of North Jersey are quite discerning foodies with an array of local Kosher options. 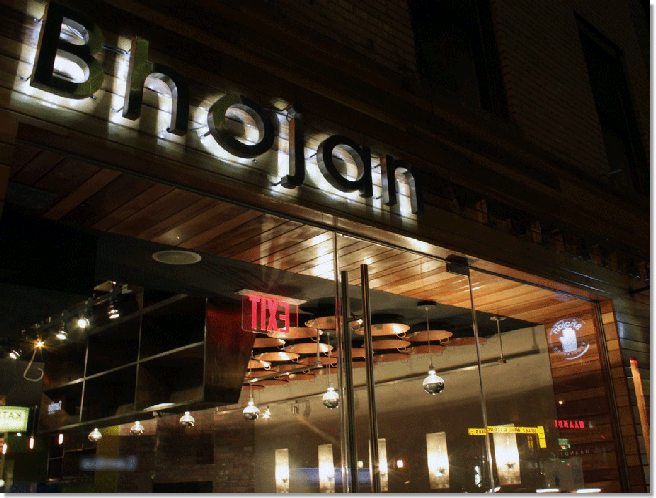 Shalom Bombay Manhattan will still be that appealing destination for special times spent in the city as well as for the many professionals who work and do business in Manhattan and like to enjoy mouthwatering Indian food for a great value lunch. Any outstanding coupons and gift certificates will be honored at the Manhattan location. The last day of operations as Shalom Bombay of Teaneck will be Sunday, June 26, 2011. We look forward to continuing to serve you and cater to all your needs. 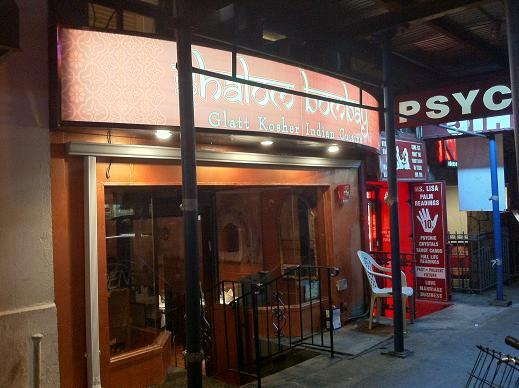 Shalom Bombay Restaurant is the first authentic Glatt Kosher meat Indian cuisine in the Country. Shalom Bombay NY is located at 344 Lexington Avenue in the Murray Hill section of Manhattan and is currently certified by OUKosher. Shalom Bombay opened its first location in Teaneck, NJ in November 2008 and added the NY location in 2010. Shalom Bombay has a open for a lunch buffet daily from 12-3 and opens again for dinner at 5PM, serving Indian favorites like Chicken Tikka Masala, Lamb Bryani and an array of vegetarian dishes, desserts, beers and wines. They provide take out, catering, delivery, and sit down dining services. Reservations and orders can be requested at 212-922-0224. According to all our readers commenting on review of the restaurant, Shalom Bombay has been shut down by the health department! What happened? We loved the place! QUICK REVIEW: I was up at 57th and Lexington today when I realized I was hungry and it was time for lunch. Unfortunately it doesn’t seem like there is much to eat in this area (can someone please open up a pizzeria). Fortunately for me however – I am the editor of the #1 online Kosher restaurant blog so finding somewhere was not that big an issue. The smart people we were, in the 95+ degree weather we decided to take our wallets to the kosher offerings of Dakshin II’s Indian Buffet. There is nothing more refreshing than spicy food on a hot August day (insert sarcasm mark here). Being on 1st avenue is a bit out of the way for most of the people who work in this area, so I will assume they have a better crowd for dinner. 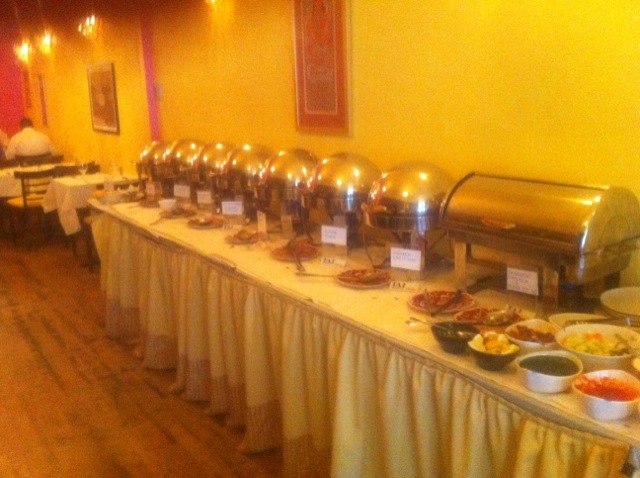 When you walk in the first thing you see is the buffet table stocked full of, yep, you guessed it – Indian cuisine. The decor is typical for an Indian Buffet. Hopefully Shalom Bombay will make their place nicer (if they ever open). 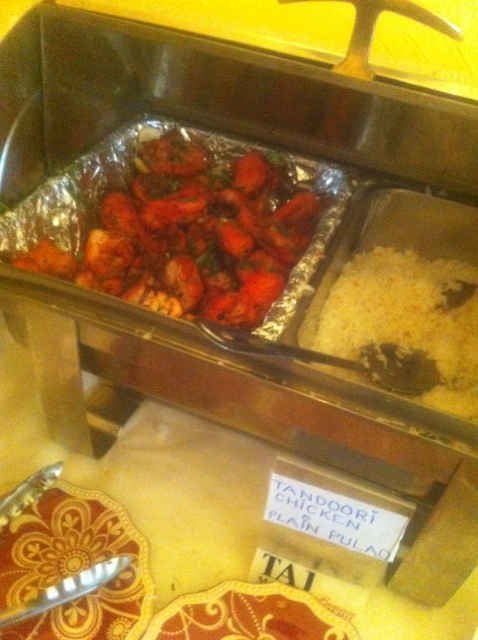 The lunch buffet is $9.95 and they do not take credit cards for orders under $25. Quick thought before I forget: they didn’t have extra plates when I went back for seconds or thirds (isn’t this a buffet rule?) or even fourths. If you love sauces like me, you will appreciate the ones they had. Although the presentation could be better their selection was good. The yogurt sauce with naan was so good I couldn’t believe it was parve. 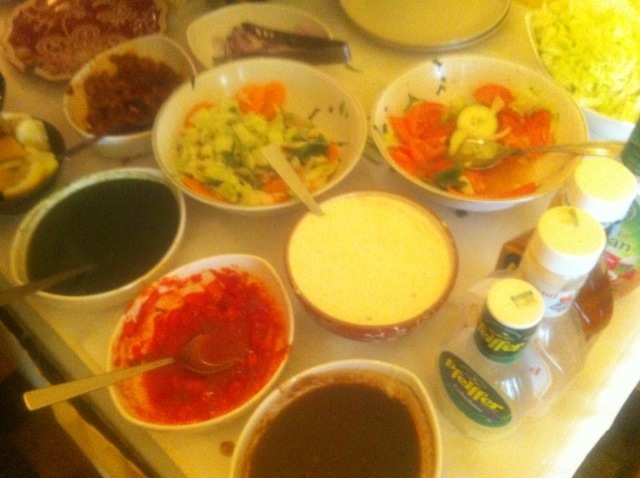 For the main course, the chicken masala and baghare baingan were my favorite. Spiced just right they went great when scooped up with some naan. Unfortunately all of the pictures I took of the main dishes came out bad, I will have to go back and take a pic of them for you guys another time. A few more pics though for your enjoyment and consideration. The chicken looked REALLY spicy (it wasn’t). Still good however. Wikipedia defines a salad as having a mixture of fruits. 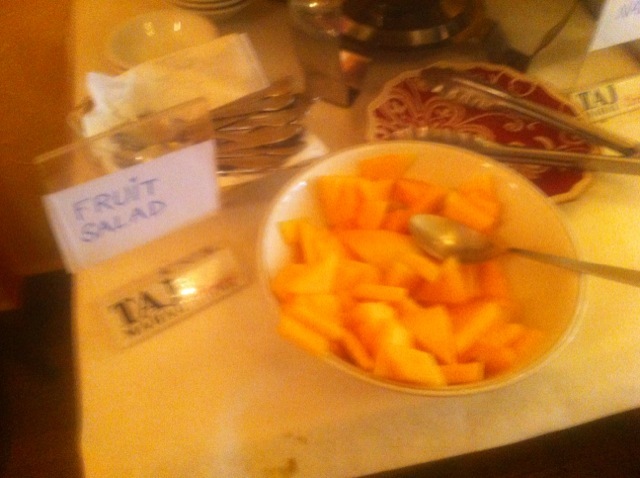 While this one only contained cantaloupe I will take their word for it that it was in fact a salad. 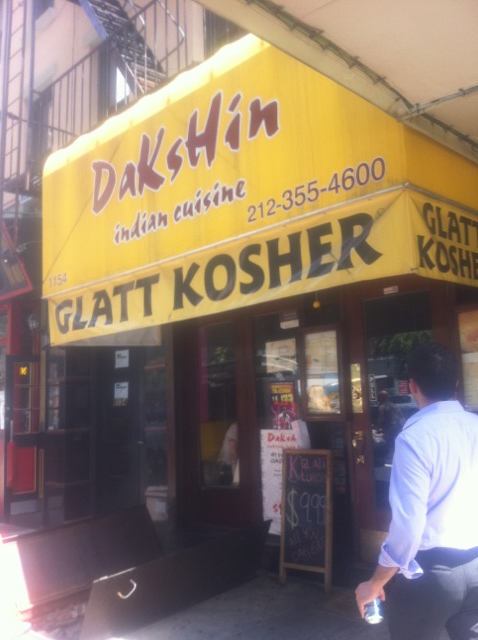 Overall it was ok, if you are in the mood for Glatt Kosher Indian food and are in the area then you should definitely check them out.